I'm really trying to be good. Honest, I am. But have you seen this? 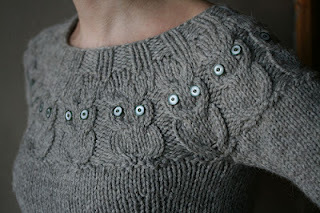 This is new, from Luvinthemommyhood, on the KnitPicks site. 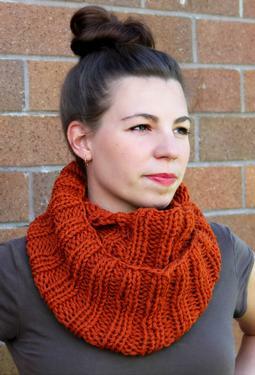 It's the Mallory Cowl, and it's yummy. 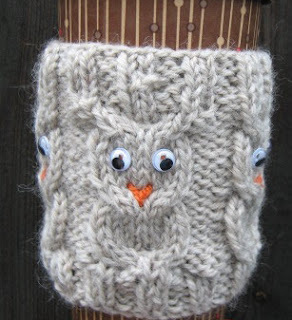 I'm thinking everyone needs a cowl for Christmas now. I definitely need one. Can you make your own Christmas gift? this sweater keeps calling my name too. So I'm trying to be REALLY, REALLY good, and not cast on until I'm done. I'm close - I'm down the body, working on the increases, soon to be on the 1x1 ribbing. Then, it's on to the sleeves. I hope to be done in a week or two (more likely two) and if I'm REALLY good, I might be able to knock out the Owls Sweater too before the Knit-a-long ends. I can at least start it, and maybe finish it up in October. What a perfect October sweater! I'm also going to try and get at least 3 of the owl cozies made for October as well. What fun is a gift, if you don't get to try it out yourself? I'm also thinking I should go ahead and make the Mallory Cowl for me, because if I don't knit me one, who else will? Would you wrap it and put it under the tree? Would that be too cheesy?